Prepare cake mix as directed on package for 24 cupcakes, using water, oil and eggs. Cool 15 minutes. Remove from pan. Cool 20 minutes or until completely cooled. In small bowl, combine frosting and drink mix; stir until completely blended and no streaks remain. Frost cooled cupcakes. Sprinkle with popping candy. 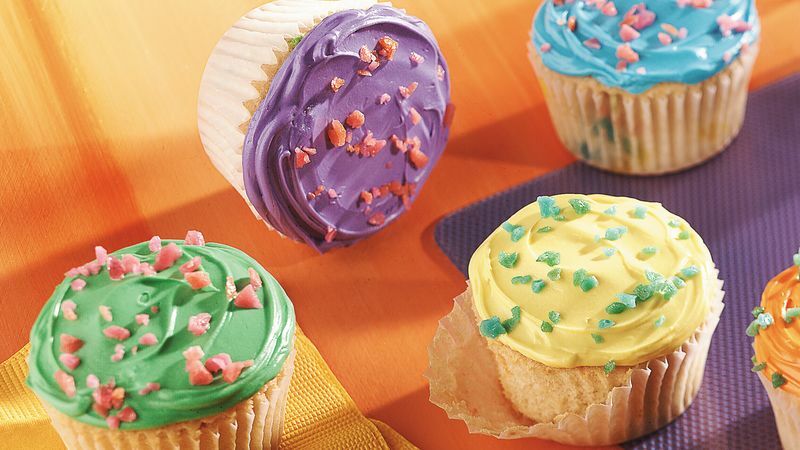 We've photographed these party-perfect cupcakes with an array of possible frosting colors. Choose your favorite color and flavor of drink mix for the frosting.